Even as the Central government headed by NarendraModi and dominated by the BharatiyaJanata Party (BJP) belatedly move to correct the SC order dated February 13, 2019 that allows state governments to evict hundreds of thousands of tribals, the Maharashtra government headed by the same party, moves fast to order unconstitutional evictions. A Times of India report of February 27 reports that, following the Supreme Court order to clear forest land in possession of people whose title claims were rejected under the Forest (Rights) Act, 2006, the Maharashtragovernment has asked forest officials to free such land from the possession of illegal occupants. On February 22, the state government issued orders seeking to know how many claims under community forest rights (CFRs) and individual forest rights (IFRs) under FRA were received and accepted, and how many rejected. This information will have to be submitted to APCCF (conservation) at Van Bhavan, the state forest department's headquarters at Nagpur. TOI is in possession of the order signed by Sunil Pandre, an undersecretary in the forest and revenue department. APCCF (conservation) ShaileshTembhurnikar said, "We have asked all chief conservators of forests and deputy conservators in the state to take action in case of rejected claims. We have to also submit a weekly report on the issue to the government." Hearing a bunch of petitions by NGOs, the apex court on February 13 sought to know from the states how much forest land was unauthorizedly in possession of people whose claims have been rejected. An affidavit has to be filed by the states on action taken before July 12. The next hearing is slated for July 24. Fourteen days leader, stung by criticism the Central government had moved to get the SC Order modified. However during the prolonged hearing of the petition, the Central Government put up no defence of the Forest Rights Act, 2006. 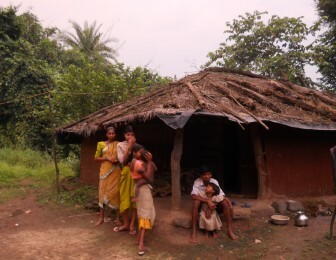 According to the the affidavit filed by the tribal development department (TDD) of Maharashtra, 3,71,705 claims were received from scheduled tribes (STs) and other traditional forest dweller (OTFDs) after 2008, when the FRA implementation started. Of these claims, the district-level committee (DLC) rejected 23,054 claims, including that of 22,763 individuals and 291 CFRs. The total area lost to forest dwellers against rejected claims is 30,732 hectares, but over the years, 7,337 hectares have been vacated and another 23,395 hectares remain to be freed. Tribal activists are protesting against the recent SC ruling. This is not the first time the court has passed such an order. Three earlier SC orders have focused on rejected claims.